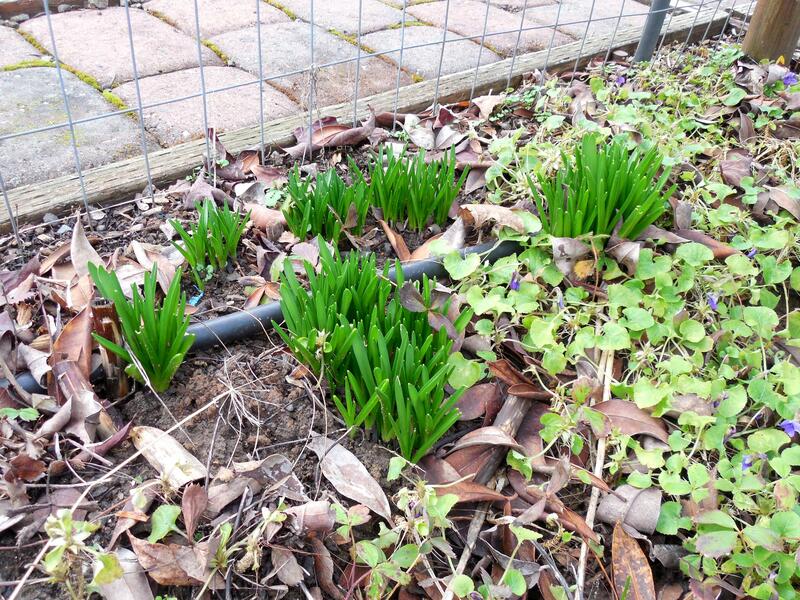 Bluebell and daffodil leaves are sprouting all over my garden. 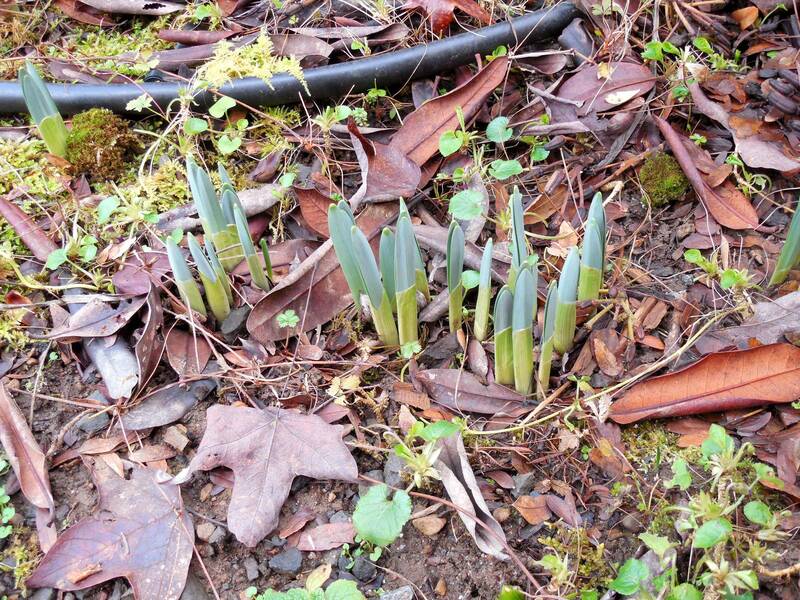 Signs indicate that spring can not be far away, no matter what page the calender is on. But I know to be wary, as a freeze can come at any time and set things back. The bluebell clumps look like they are getting a bit crowded, and may need to be divided again. These are prolific bulbs, and I wish I could plant them in the woods. Unfortunately, for me, the local deer find them quite tasty and they do not last long in the wild. On the other hand, our deer do leave daffodils alone. Yesterday, I moved some sprouting bulbs out of an enclosed area, to the “wilds”, as they do not need to be protected. I’ve tried to plant daffodil bulbs in the fields, but they rarely regrow and bloom again. Finally, I realized that spring grass mowing also mowed down the daffodil blades. 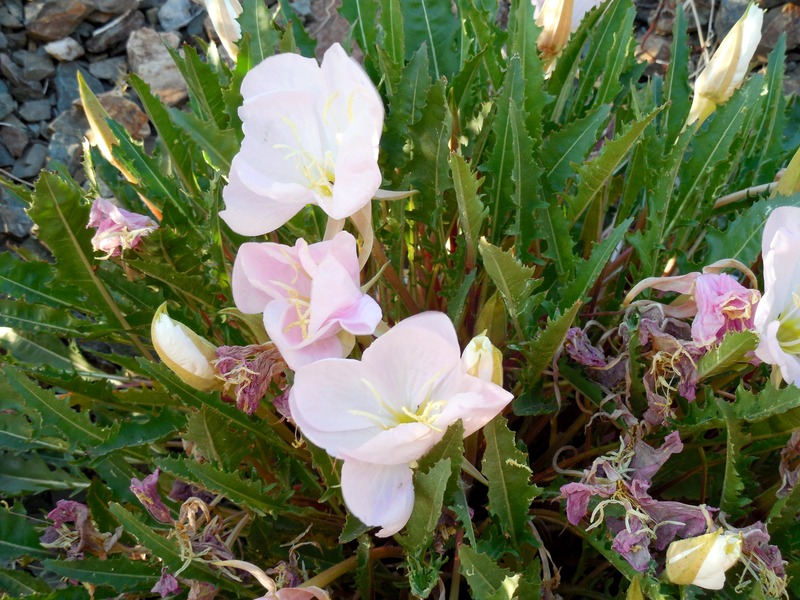 The plant needs its leaves to die-off naturally to replenish its nutrients and energy to rebloom another year. Categories: Uncategorized | Tags: bluebells, bulbs, daffodils, deer, rebloom, spring, sprout | Permalink. These small flowers have been such a challenge for me to photograph in focus. I’m not sure what I did different, perhaps it was the time of day, the time of year, whatever! It worked. Since the first starts were planted long ago, these flowers have taken off in my yard. They go dormant in the summer if they don’t get irrigation, but are in their prime in the wintertime. What a pleasure they are to see, when there is absolutely nothing else in bloom. We’ve even seen violets popping their heads out in the snow. 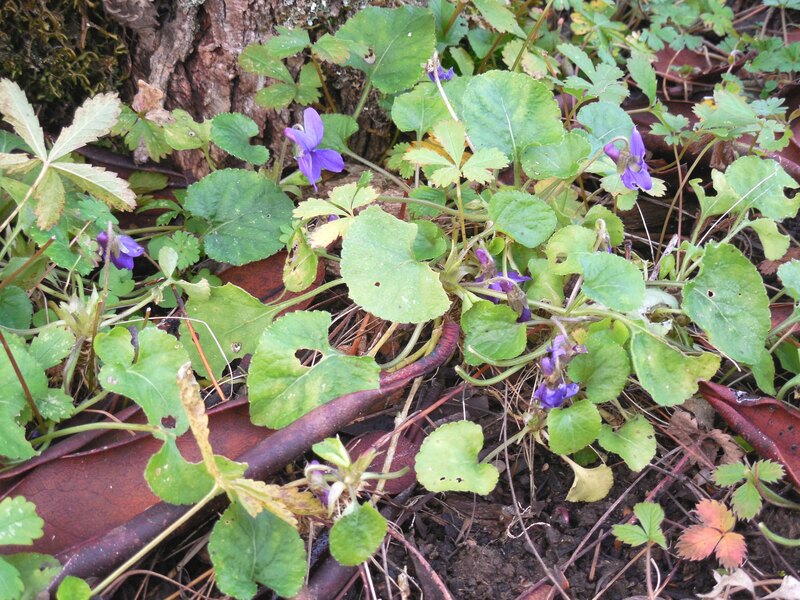 An elderly neighbor gave me a shovel-full of these violets from her yard, over thirty years ago. She has long since passed away, and her garden fell into neglect. I feel like her garden lives on at my house, as I inherited a number of other plants of hers over the years. Categories: Uncategorized | Tags: inherited, snow, violets, wintertime | Permalink. 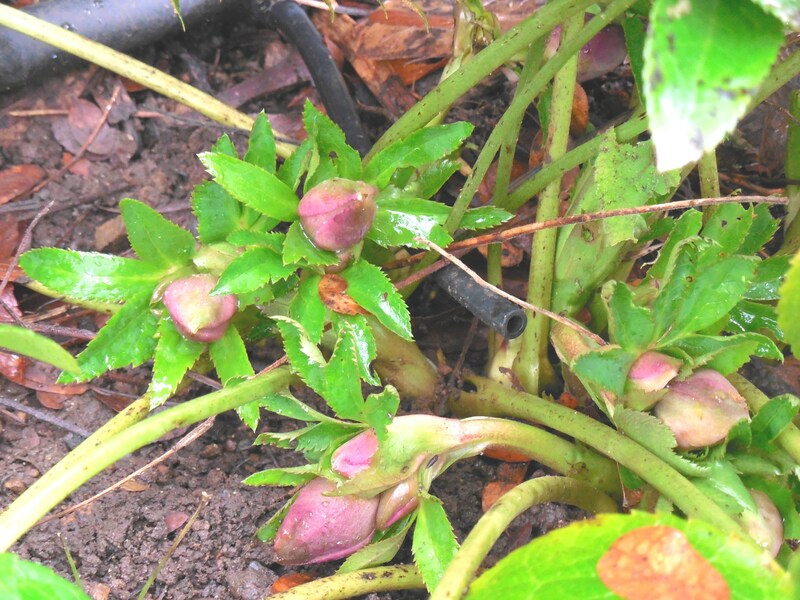 Bergenia and Hellebore – both are in bud this early in the season! The sun was shining yesterday, a warm 45 degrees F (just over 7 degrees C), as compared to a cool 45 degrees when the sun is not out. Interesting, isn’t it, how the same number of degrees can feel so different to one’s body depending on the sun? There is also a white-flower hellebore, almost adjacent to this pink-flower one, but its buds are not as developed as these pink ones are. 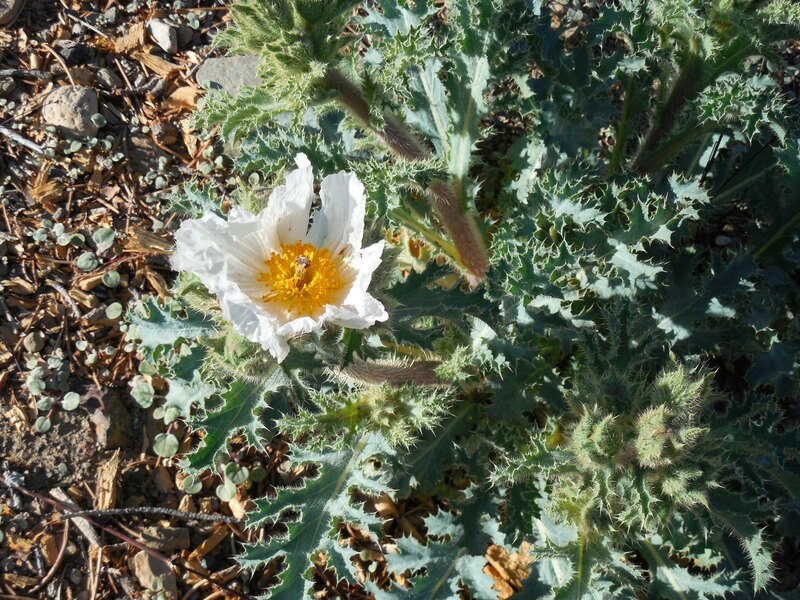 I will have to keep my eyes open for an example of a white flower opening before its colored counterparts. 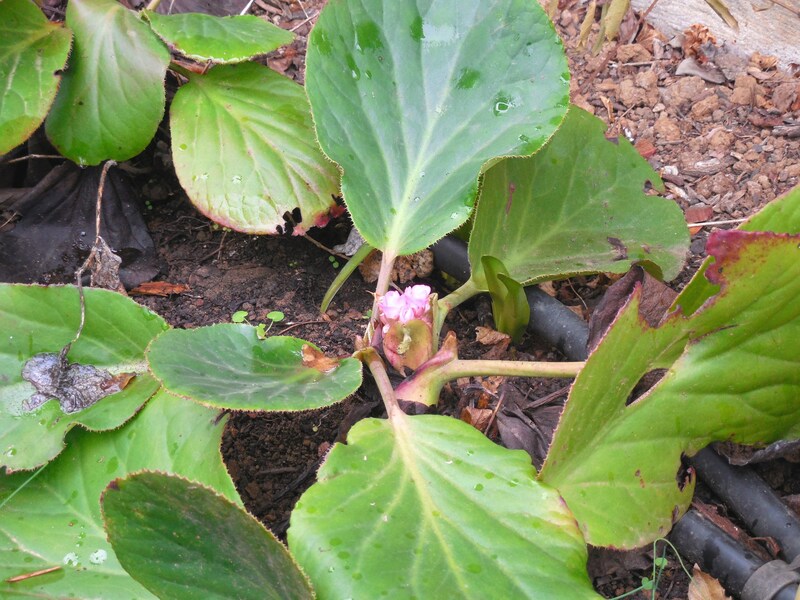 Categories: Uncategorized | Tags: bergenia, buds, flower, hellebore, pink | Permalink. 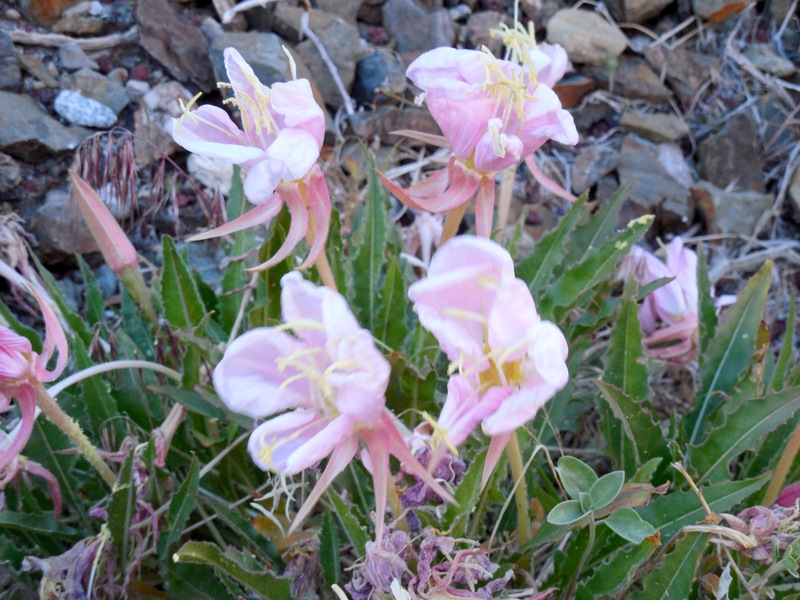 The second picture is of columbines, which grow wild at home in Oregon, but in a different color. I know they reseed freely, and did see them growing in larger groups. 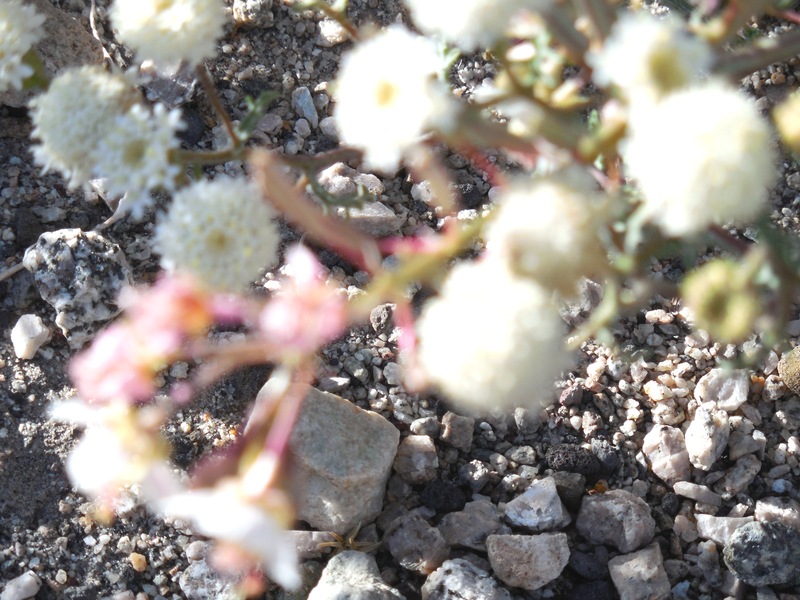 The pom-pom flowers in the top photo were a challenge to keep in focus. Do you see they are growing in gravel? That is so amazing to me, the way I baby my plants at home, and they are so sturdy in the wild. Categories: Uncategorized | Tags: columbine, flowers, pom-pom, wildflowers | Permalink. 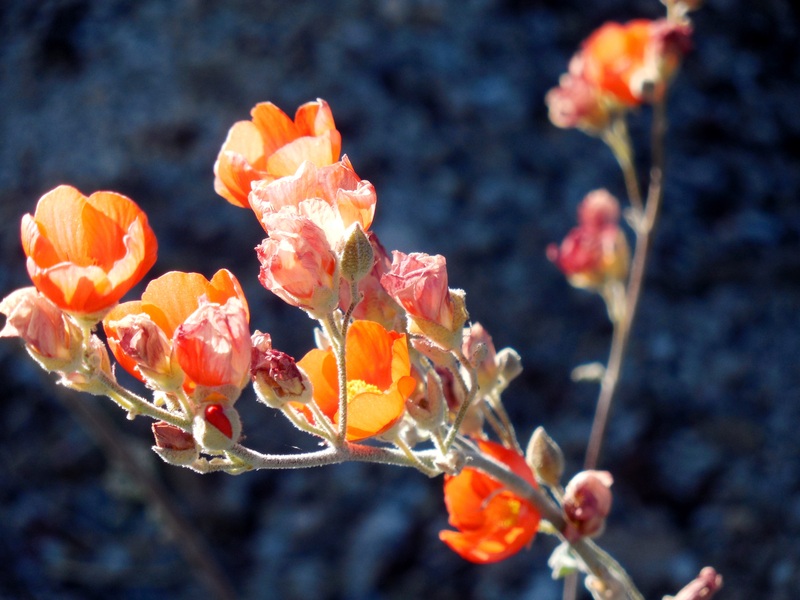 More of the colorful and scenic wildflowers on this desolate drive. 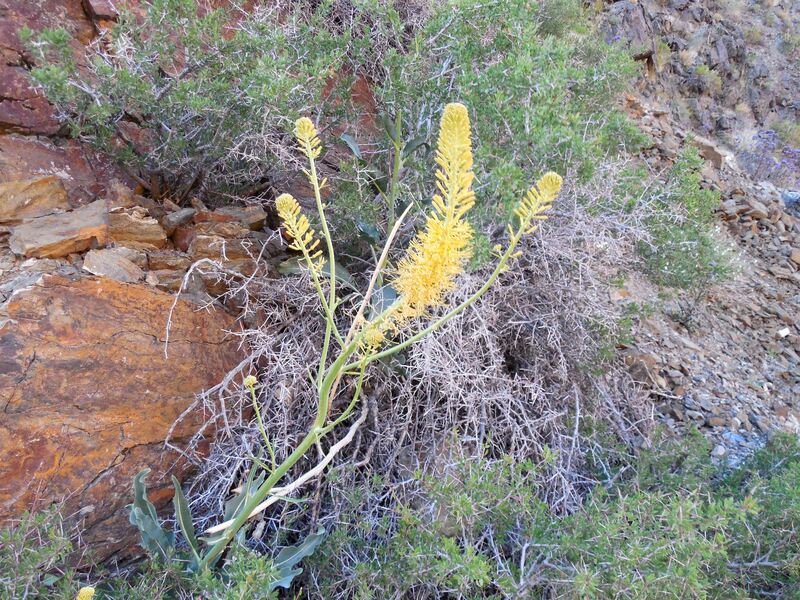 I found these growing alongside the mountain road. Even though the road was quite curvy, there were so few cars, I could safely get out of the car and take my time with the photos. Categories: Uncategorized | Tags: colorful, mountain, road, scenic, wildflowers | Permalink. What a drive we took from Death Valley over the mountains to Big Pine in California. Not a direct path, as there are no roads “as the crow flies”. A very circuitous route: northeast, north, west, then southwest. Over 3 mountain passes that were higher than one mile in elevation. We saw so many wildflowers on this drive, I was amazed. It is a function of sun exposure, moisture, elevation and just plain luck. Try as one may to plan ahead, I have learned that wildflowers will bloom in a certain order, but the date is entirely dependent on the weather. I do not know the names of all of the flowers, but I do recognize some. The white flower here is a thistle, as I know those leaves. Such a pretty flower on such an obnoxious plant. Sorry to be so judgmental! 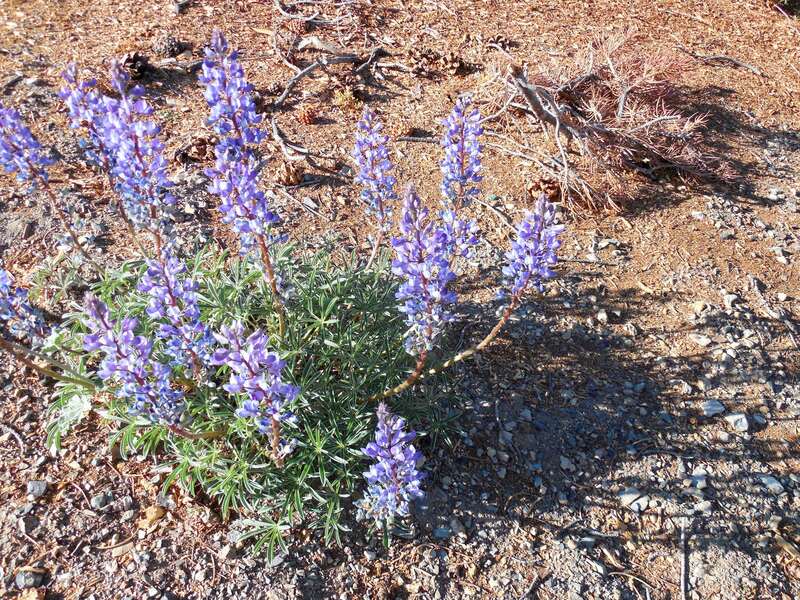 These blue flowers are lupines. 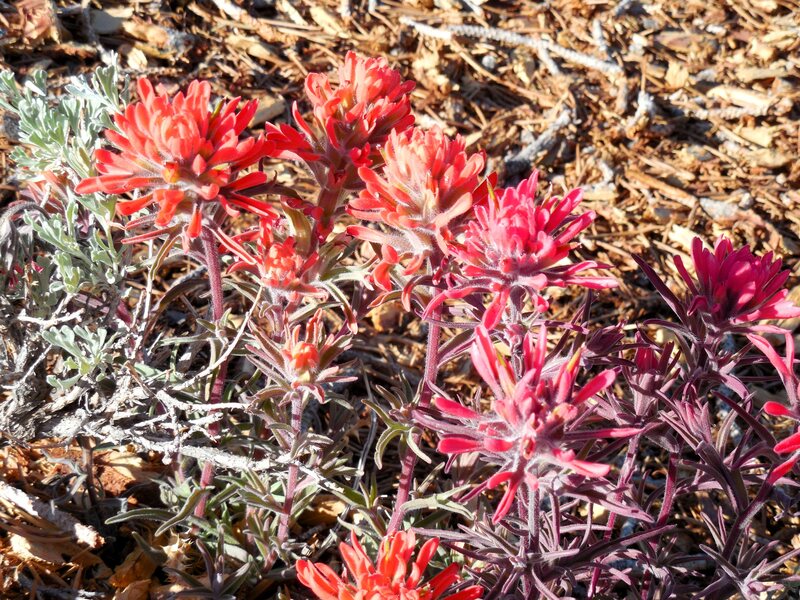 They will bloom all summer in various colors, at home, but this must be a wild, mountain cultivar. 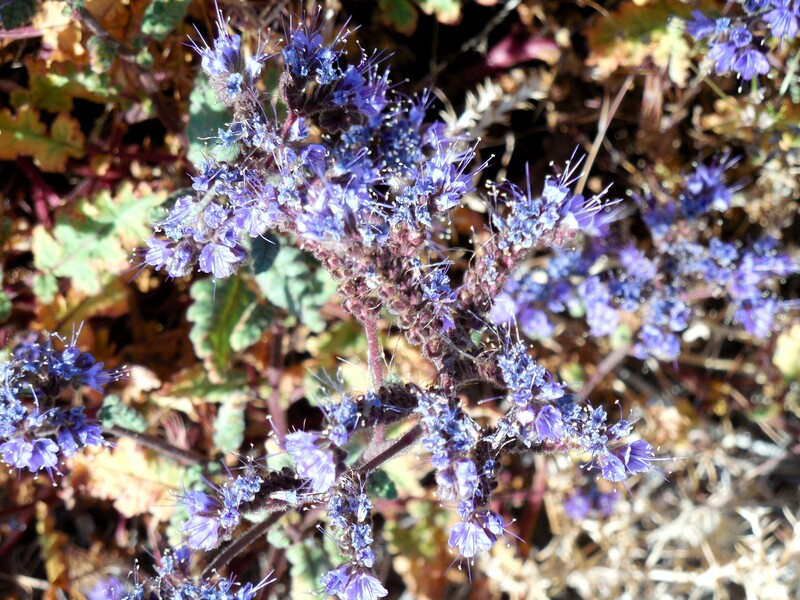 Categories: Uncategorized | Tags: blue, cultivar, elevation, lupine, mountain, thistle, white, wildflowers | Permalink.